In case you haven't heard, Montreal is gaga over food. The city oozes restaurants, unique culinary traditions, and foodies spoiled by an enviable selection of local produce. In recent years, TV chefs Gordon Ramsay and Jamie Oliver both chose Montreal to anchor their first Canadian restaurant ventures. But they're not the only ones who've caught onto Montreal's food obsession. Some dishes have grabbed the international spotlight throughout the Americas, Europe, Asia... even the likes of Paris and New York are trying to replicate flavors and textures hard to come by outside of Canada's foodie capital. For the record, that's poo-tzin -think Vladimir Putin- NOT poo-teen, a common and entirely forgivable error in pronunciation. Quebec's preeminent fast food staple/disaster area/hangover remedy is not only taking the international food community by storm, it was recently promoted to the official rank of Canada's National Dish. But was it a national decree? Did the government conduct a survey? No. And no. Actually, it's because the American media had a slow news day and decided it was. It's not pastrami. It's not corned beef. It's Montreal smoked meat. And though some claim the local fast food delicacy is an overrated, underspiced pastrami wannabe, others salivate faster than Pavlov's dogs at the very mention of a smokey, sweet-meets-salty sandwich stacked with a dozen plus slices, prepared in that distinctively Montreal way. 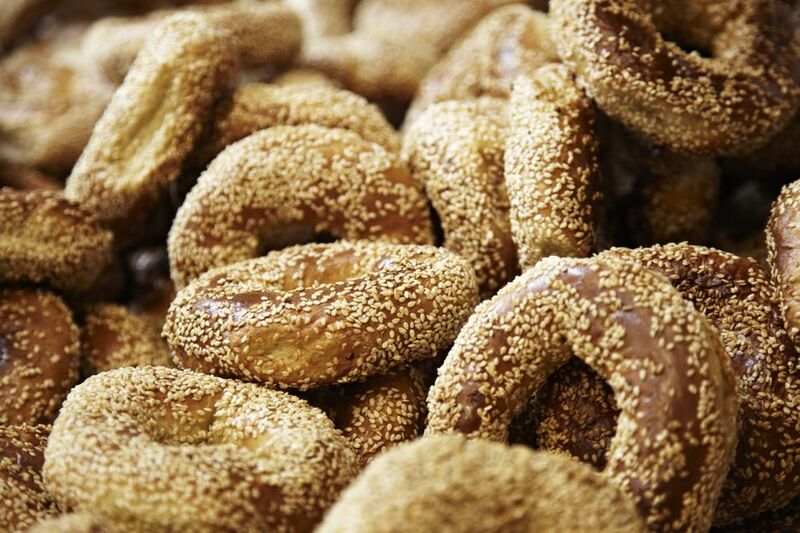 Montreal bagels are glorious, so remarkable, they outshine New York's. And there are two places just over a block from each other to score the finest of their kind: either go with Fairmount Bagel or do St. Viateur. Or better yet, try both. Montreal has killer public markets. One of them is even the largest in North America with up to 300 vendors, producers and farmers gathered in one spot during peak season. According to the Quebec Federation of Maple Syrup Producers, over two-thirds of the world's maple syrup is produced right here, in the province of Quebec. And a sizeable chunk of Quebec's maple products are gobbled up right here, in Montreal. Statistically, the province of Quebec consumes more maple products per capita than anywhere else in the world. Craving a midnight snack? Try the late night joints. Some are open past the witching hour, others are 24/7. Apart from Hong Kong, where dragon beard candy stands are not uncommon, there are but a handful of places in the world that sell this rare and ancient confection. Montrealer Johnny Chin says he was the first dragon beard candy master to introduce it to North America, back in November 1991, when he opened his shop in Montreal Chinatown. Since then, the candy maestro never looked back on his decision to revive an art on the verge of extinction. Think Montreal upscale restaurants are out of reach? Think again. Foodies of all budgets can get their high-end grub—steaks, lobster pasta, salmon tartare—at a delightfully accessible price point courtesy of a brigade of the city's top restaurants offering special late-night menus that go into effect by evening's end, usually after 9 p.m. or 10 p.m. Whether you're looking for greasy perfection or haute cuisine, Montreal has plenty of spots for you to enjoy brunch. Everyone needs a little romance in their lives and there's no lack of places to eat in Montreal on date night. The emergence of Montreal izakayas is a fairly recent phenomenon, with the first batch of Japanese style pubs opening up in the city circa 2010, years behind the trend long-anchored in New York, San Francisco, and even Vancouver. Regardless, you'd be hard-pressed not to find a Montreal locale branding itself as an izakaya. With Montreal's 66-year-old street food ban finally lifted as of June 20, 2013, locals and visitors alike can find excellent food trucks in the city.